Swimming pools need constant cleaning; not just an ordinary cleaning but the kind of cleaning that’s special to them. Anyone can clean a pool, but only professionals can deliver the cleaning that’ll make your pool water sparkle and blue perfect. Pool Services Boca Raton by Tropics Pools & Spa will see to it that nothing will spoil your fun time. You can swim any time knowing that your pool is totally clean and perfectly safe. No bacteria and virus is going to get to you. No itchy skin, red eyes, or irritated nose. Let Tropic’s Pool Services Boca Raton take care of your pool’s needs and keep it in top condition. So what are the services that Pool Services Boca Raton has in store for you? Daily maintenance. 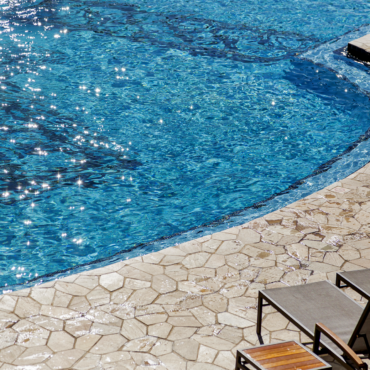 This is where you can save on your pool maintenance expenses. Tropic’s Pool Services Boca Raton will teach you how to do it. Some of these cost-saving measures consist of cleaning the surface water from floating debris, inspecting and checking the filters, testing the chlorine pH concentration, and emptying the skimmer baskets. Every two weeks. Shock treatment should be done every two weeks. When sanitizers are not enough, shock treatment should complement them. Checking the pool equipment and the water chemical balance are also crucial to pool maintenance. Check cyanuric acid level. Every 3 to 4 months. Check for the presence of calcium in the pool water. Don’t change your water as long as it’s clear. Anyway, Tropic’s Pool Services Boca Raton will tell you when it’s time to change your water. Chlorine application can be done by almost anybody, but not everyone knows how to get the appropriate effect. Factors such as the presence of contaminants, water temperature, pollutants, and the season of the year will have to be taken into account. Tropic’s Pool Services Boca Raton knows this for a fact. It’s different when Tropic’s Pool Services Boca Raton does the job. Every factor that may affect it is given much importance. You can also pour as much chemicals as you want, but they’ll only manage to deliver partial results. The filter should be cleaned properly first before applying the chemicals. This is another job related condition that experts such at Tropic’s Pool Services Boca Raton are very much aware of. Knowledge about cleaning and maintenance techniques is essential for superb pool care. Cleaning is just a part of the overall process and you can be sure that Tropic’s Pool Services Boca Raton knows all about it. It’s their way of life.